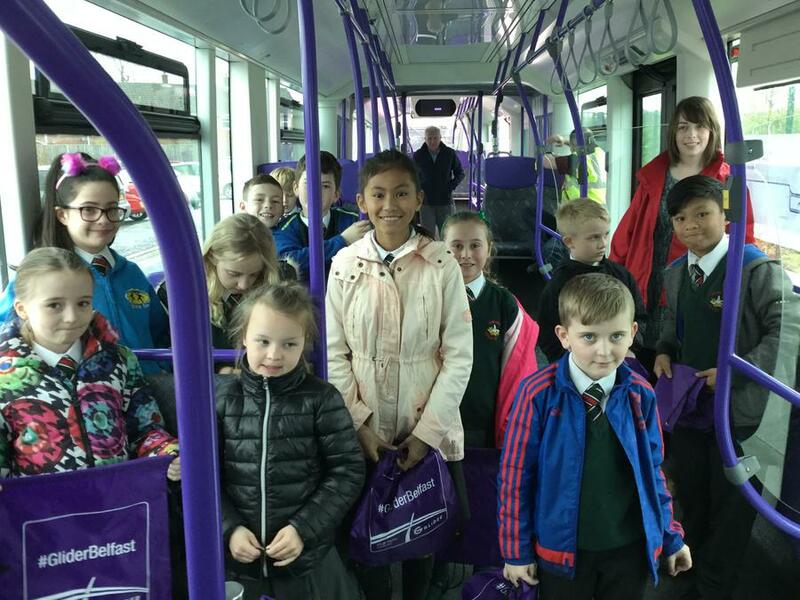 Our Eco Council were invited to the Dundonald Park'n'Ride Facility today as one of the first schools to see the new Glider bus, which will run from Dundonald Park'n'Ride to Belfast City Centre and on to the other side of Belfast, beginning on 3 September 2018. 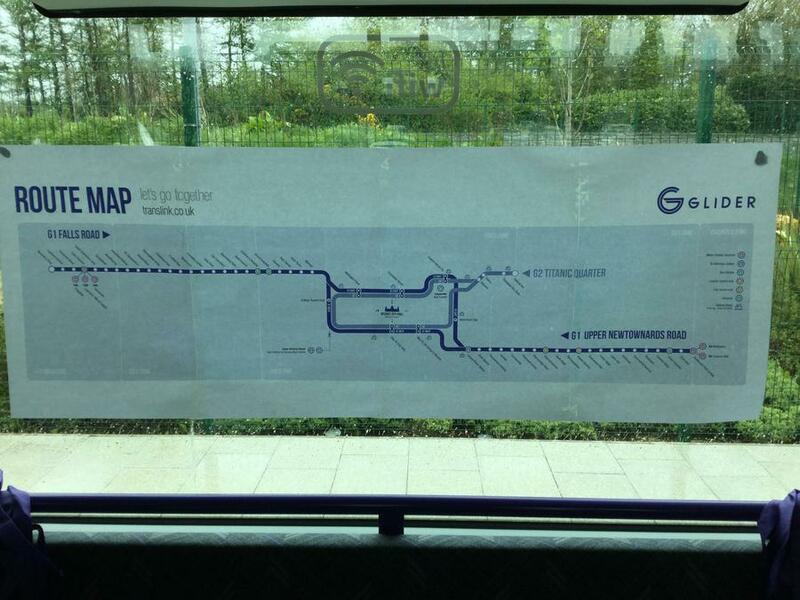 A double-decker bus arrived at school to transport us to and from the facility. 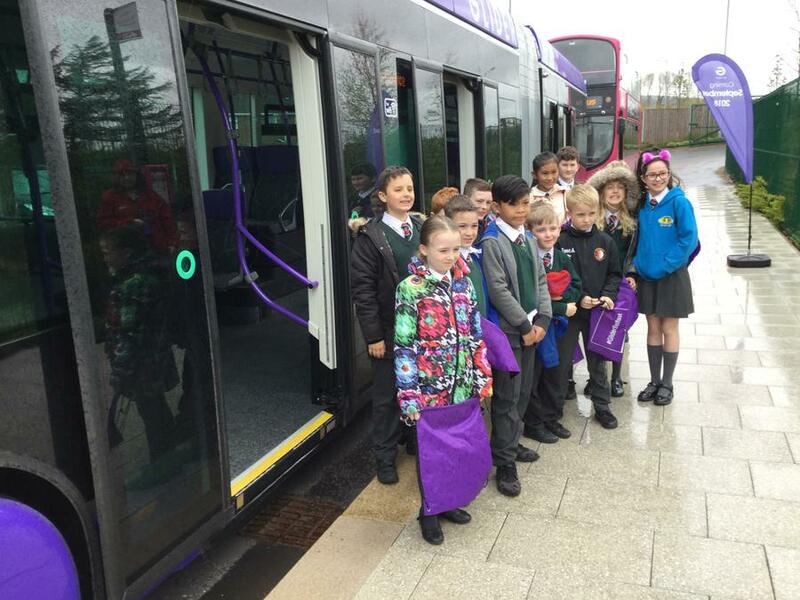 When we arrived at the Park'n'Ride Lindsay Rainey from the Department of Infrastructure spoke to the Eco Council about the benefits of the new buses. 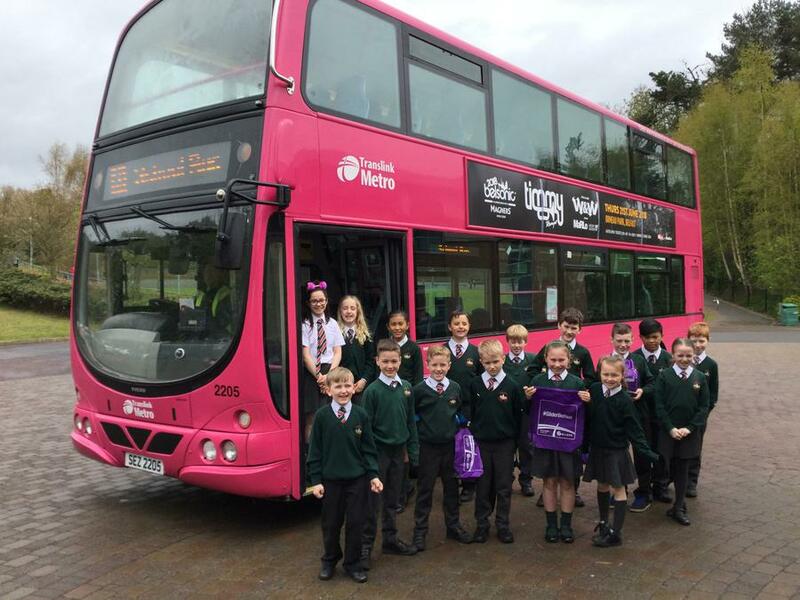 The children were pleased to hear that the bus had room for 105 passengers, taking approximately 85 cars off the road per bus. 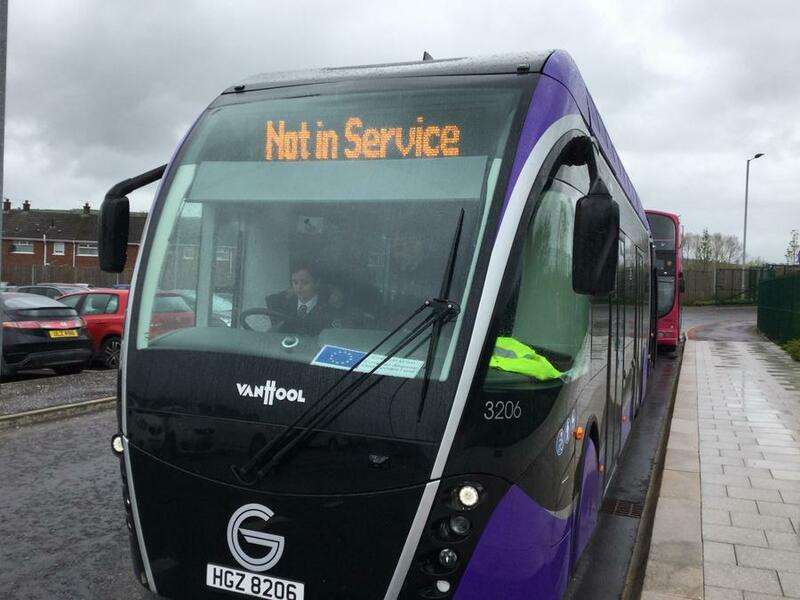 They also heard that the new bus is eco-friendly as it is a hybrid diesel and electric vehicle, helping to reduce pollution.